You’ll probably remember that around 16 weeks ago, John “PlanetSMS” Thornhill launched his own personal coaching program, the number of places was strictly limited and the price tag was into hundreds of dollars. I know from some feedback I’ve received that a lot of you were unsure about joining up as you didn’t know quite what to expect. Well, with around 2 weeks left to go, John’s students are coming to the end of the course and they are starting to produce their own quality products. I don’t know this through (thru for the Americans amongst us!) some “insider information”, I know this because I got an email a couple of weeks ago from one of John’s students who is also a member of my mailing list and an avid newsletter reader – Omar Martin. Omar asked if I’d be interested in helping him out with his very first product launch, without hesitation I agreed. Now I don’t need to give you any type of hard sell here, why not? Because Omar is one of the nicest guys you will find online! Not only is he a great person, he also has vast experience when it comes to sales. With over 8 years of offline sales experience, working as a sales trainer and manager, Omar decided to try his hand at internet marketing. He didn’t really know where to start so he took the plunge and joined John’s coaching program. With John’s help, Omar has brought all of his offline knowledge together and used it to create his very own product – “High Performance Sale Secrets“. Not only does Omar provide you with a brilliant written guide to capturing the sale, he also provides you with “real” videos – not camtasia screen recordings but “real” videos with Omar showing you on his white-board exactly what you need to do to make sure you turn a visitor into a buyer. Yeah, I said practically nothing! 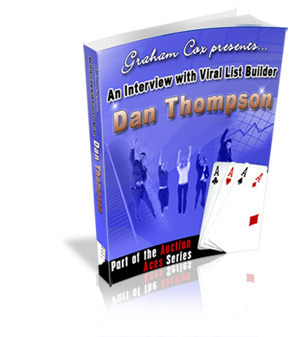 Sorry to disappoint, but Omar is delivering incredible value by selling it all, the videos, the guide, the bonuses for only $37! So what are you waiting for? As I said right at the start of the email, Omar really is one of the “good guys” and I had no reservations about helping him out with his very first product launch. So please, if you do have a spare 5 minutes do head on over and take a look at what Omar is offering. 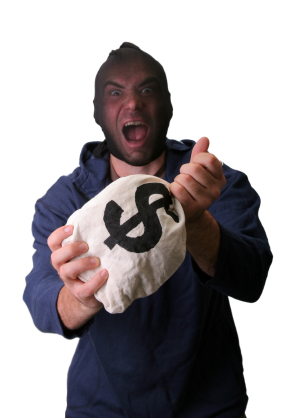 “People Are Stealing My Commissions” – No They Are Not! Let me first put the world to rights on one point before I continue. What do you think would happen if you replaced my affiliate ID in the URL below with your own and then refreshed the page? You would probably be thinking that I would lose the commission, because you’ve just got rid of my affiliate ID (elpasso) and changed it to your own, so if all goes to plan, you should get the commission and not me. Well, don’t take my word for it. Let’s try it now, follow the steps below to see who gets the sale. 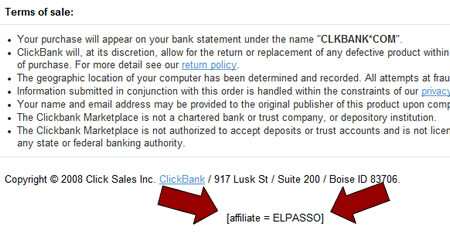 You can see that the affiliate for that sale would be “elpasso” – which would be me. Go back to the sales page, change the hop=elpasso in the address bar to hop=yourID and push refresh. Then click the order button and see if the affiliate has been changed. Is that enough proof that changing the hop = value doesn’t have any effect on who is awarded the commission? The hop = value, or variable is passed to the page and can be used by the webmaster to perform his or her own tracking amongst other things, it doesn’t actually set the affiliate cookie. The cookie is set when you click on the link, NOT if you change the hop value and refresh the page. So with that out of the way, why do we bother to cloak affiliate links? Well, for me the answer is simple. I don’t cloak my links to stop people from stealing my commissions, I cloak them because they look better! Take a look at the 2 links below and tell me which looks better. I was going to end this entry with that, but there’s a bit more info that I’ll share with you, and this is what probably causes quite a lot of your commission loses, but unfortunately there isn’t much you can do to stop it. If you send a customer to a sales page and the customer can see an “Affiliates” link at the bottom of the page, the customer is likely to click on the link, generate their own affiliate link and buy the product through that link instead of yours – simple but true. Malware/Adware is not only un-ethical, it’s also a pain in the backside to get rid of if you do become infected! These applications, once activated on your PC can, and will replace any genuine affiliate cookies they find with their own ID. So for example, if your visitor goes to a site via your affiliate link, the malware/adware will detect that your cookie has been placed, and it will replace it with it’s own cookie – meaning you miss out on the sale. And that brings to an end my extra little “brain fart” (thanks Pat!) for today. Just one thing left to show/give you now, and that’s a freebie. Don’t spend lots of money on fancy affiliate link cloakers – you don’t need them. You can easily make your own links, details can be found here and here.